Your smartphone is always at arm’s reach. Now, so is the ability to feed your pet. 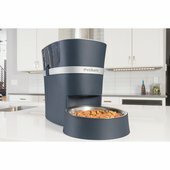 The PetSafe Smart Feed is a convenient pet feeding solution for the modern pet parent. No matter if you’re at the office or simply busy doing work around the house, the power to feed your pet is in the palm of your hands. 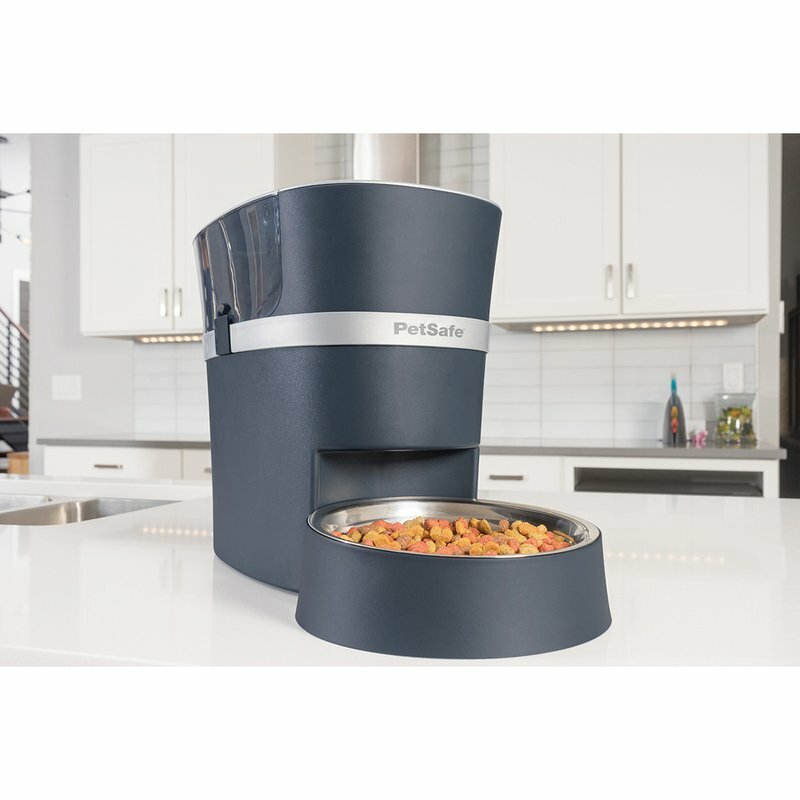 The Wi-Fi enabled feeder connects to your home's wireless router (2.4GHz) to work with your Android or Apple smartphone, allowing you to feed and monitor your pet’s meals anytime, anywhere. Use the app to customize and schedule up to 12 meals a day with portions ranging from 1/8 cup to 4 cups to fit your pet's feeding needs. 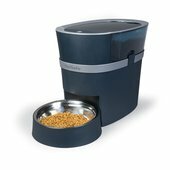 The feeder will dispense your pet’s food into a stainless steel bowl with a 5 cup capacity. Ideal for cats and small to medium dogs.